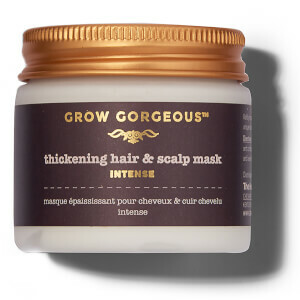 Our best-selling Grow Gorgeous Hair Growth Serum Intense now comes in a Supersize bottle! Our iconic Hair Growth Serum has hit cult status among customers and the hair care industry alike. We listened to what you were saying and you wanted more, so here you have it. 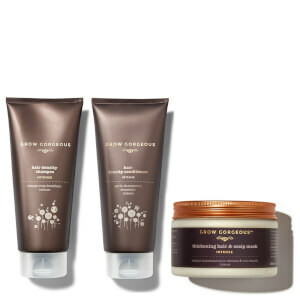 Grow Gorgeous Hair Growth Serum SUPERSIZE. Containing the same unique blend of powerful ingredients and using intelligent ingredient technology, the serum encourages hair growth, hydrates hair and scalp and nourishes the hair right down to the root. The bigger size gives you more product to help keep hair follicles strong and healthy for optimum hair growth for even longer. Whether you have fine hair lacking that extra “oomph” or simply wish to kick-start your hair care routine, Grow Gorgeous Hair Growth Serum SUPERSIZE dramatically improves the look and feel of your hair for fuller, thicker and longer hair. 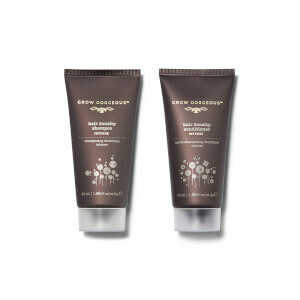 Acetyl Tetrapeptide-3 and Clover Flower Extract Active Complex works within eight days to visibly improve hair length. Hyaluronic Acid moisturises and hydrates the scalp for healthy grounds on which your hair can grow. Bio-Active Complex of Chinese Skullcap, Soy Sprout and Wheat Sprout help to improve visible hair density and stimulate the hair follicles to promote hair growth and prevent hair loss.